The Wedding amp; Special Event Yellow Pages - Complementary yellow page style directory for all wedding amp; special events. Find your wedding needs in our directory for Northern California. Wedding Zone - The ultimate wedding and party planning guide. 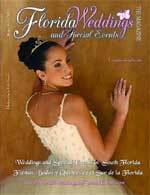 Wedding Vendor listings, wedding store, tips and articles amp; Much more!